For the first time in years a social event is planned: a tour through the city of Rotterdam with a historic tram. Leaving at 19:00 from tramstop Beurs and returns around 20:30 to the same location. It depends on the number of participants whether this tour will take place. We need a miminum number of passengers to cover the cost but we haven't set a price yet. First day of the conference; registration opens at 9:00, presentations should start at 10:00 with lunch and tea breaks. Ends between 17:00 and 18:00. Second day; starts around 10:00, finishes at 15:00 so people should be able to catch their trains / airplane going home. Note: in contrast to previous Warpstocks no lunch will be included in the conference fee. There are several places where you can have lunch in the vicinity of the library, including a bistro right in the library. Warpstock Europe 2017 will be held in Rotterdam, The Netherlands on Saturday May 20 and Sunday May 21. 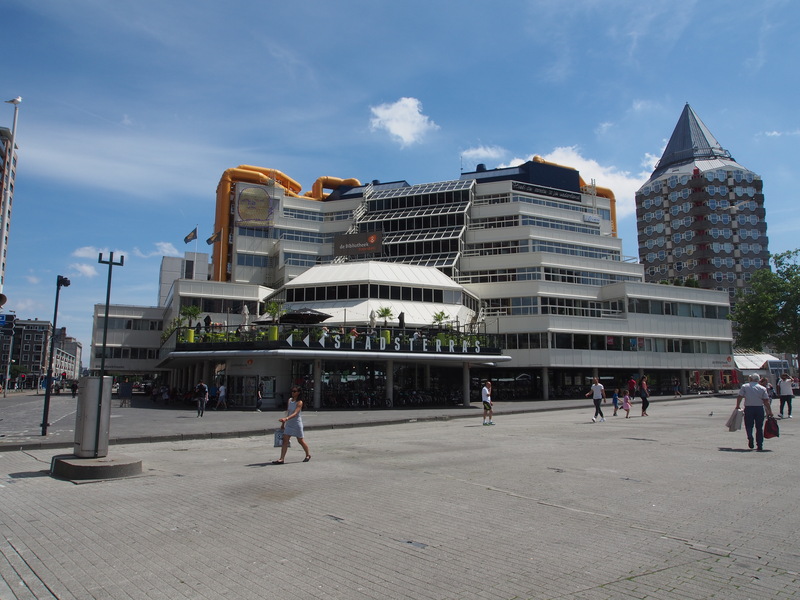 Hosted again by the OS/2 VOICE foundation, they choose the central library of Rotterdam (link is in Dutch) because of the great location, ease of access and good facilities. In addition, there are plans for a social event on the day/evening before the conference. More details will follow.